The 40 selected images from Greetings From Ireland are travelling to the Hamburg Triennial of Photography, joining the busiest Photography hub this year, and ensuring a great representation of local artists at this key event in the Photography calendar. 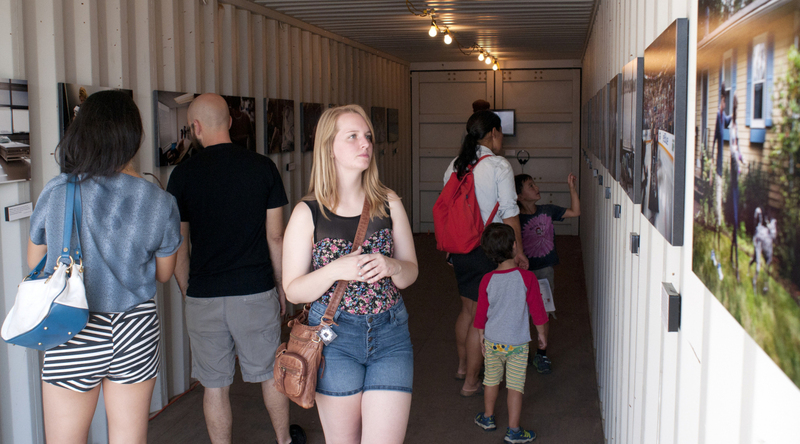 The exhibition will run from the 18th to the 28th of June in Hamburg at a specially built Container City. Meanwhile, in Dublin, we will celebrate the second phase of this project with Greetings From Ireland Worldwide, exhibited at the City Assembly House and The Library Project, where we will be displaying the results of the call for global participation. Check all the Greetings From Ireland images here. Check the Greetings From Ireland at the Hamburg Triennial of Photography. Image credit: Photoville, New York. Previous PostCamera, Lights, Auction! A fundraiser to support The Library Project. Next PostArthur Guinness Projects: The Mobile Library.